Encorepreneur! - Linda Nash - Serial Entrepreneur! Linda Nash - Serial Entrepreneur! Linda Nash has built and exited three businesses, and is currently contemplating "Whats Next" in her career. At our August meeting, Linda talked about how business, and life, has changed since she founded her first business in 1982. She also told us about her plans for the future. She also will touch on the challenges of being a woman entrepreneur in 1982 and how they might have changed three decades later. 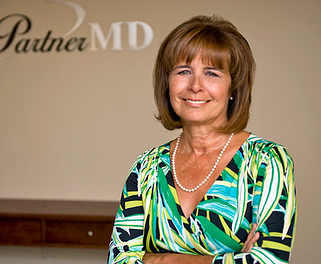 Linda founded PartnerMD in Richmond in 2003 and the concierge and executive health medical practice grew to employ 28 doctors in 11 locations, from Atlanta to Seattle. The Henrico-based specialty insurer Markel Corp., through its Markel Ventures subsidiary, acquired PartnerMD 2011. Her past business ventures include starting the Workplace Childcare Centers chain, which grew to six locations over 15 years from 1982 to 1996, and CEO and founder of The Compass School. from 1997 to 2000.